A charming holiday destination, Terengganu has a stretch of beautiful beaches furnished by many spectacular islands. The tranquility and cool breeze offered within Terengganu draws numerous crowds from all over the world towards the region. 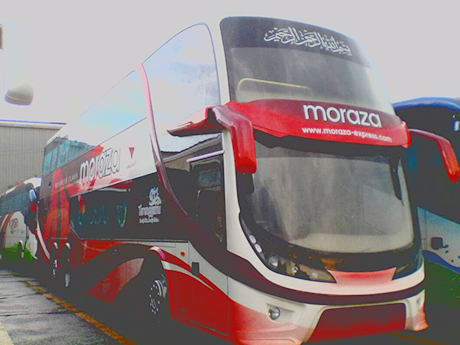 Moraza Express has been earning its fame within the competitive transportation industry catering for bus trips especially around Terengganu, Pahang and Selangor. Whether diving within the crystalline waters of Pulau Perhentian or relaxing on the gorgeous beaches of Pulau Kapas, online bookings for Moraza Express bus tickets can now be made conveniently by following a few simple instructions. Whatever is on the list of things-to-do in Terengganu, Moraza Express buses will provide a comfortable and enjoyable journey once bus tickets have been purchased. Due to the endless selection of places to visit within Terengganu, it is recommended to opt for Moraza Express as bus tickets are all available at affordable prices. Choose from a variety of bus schedules upon searching for a preferred trip and simply rely on Moraza Express to get to a variety of destinations around Terengganu in a manner that is safe as well as sound. Recently, Moraza Express has added new routes departing from KLIA starting from September 6th and onwards. These routes are now available for bookings online and they offer a direct trip from KLIA to the 3 popular islands in Terengganu namely Pulau Perhentian, Pulau Kapas as well as Pulau Redang (Redang Island). From KLIA to Pulau Perhentian, the drop-off point for Moraza Express buses will be at the jetty point of Kuala Besut Jetty. From KLIA to Pulau Kapas, the drop-off point is at Marang Jetty for boat services towards Pulau Kapas and from KLIA to Pulau Redang, bus drop-off point by Moraza Express will be at Merang Jetty heading towards the respective island. Return routes are also available for several distinctive trips. Make sure to check the website online for a complete bus schedule and price confirmation to avoid any drawbacks. Sit back and enjoy comfortable seats provided on board Moraza Express buses for a relaxing journey. Express buses provided by Moraza Express are included with 38 reclinable seats inside each coach and an ample leg space for a comfortable journey. Each coach is also installed with an air-conditioning system to keep away from Malaysia's warm climate outside with free meals provided on board Moraza Express buses to ensure convenience during long-haul trips. Blankets and neck-rests are available on board upon request. 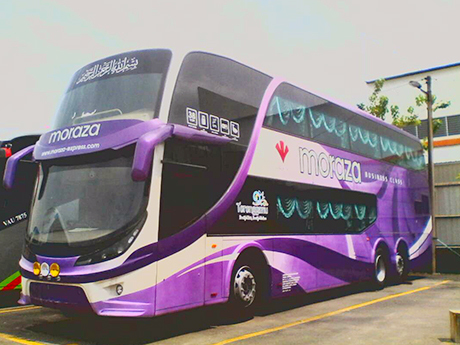 Moraza Express also offer coaches with USB port connection along with WiFi connections to help passengers stay connected during their voyage and get maximum comfort when traveling with Moraza Express buses. Save up plenty of time by booking express bus tickets on board Moraza Express through Easybook’s website here without having to queue up at the counter. 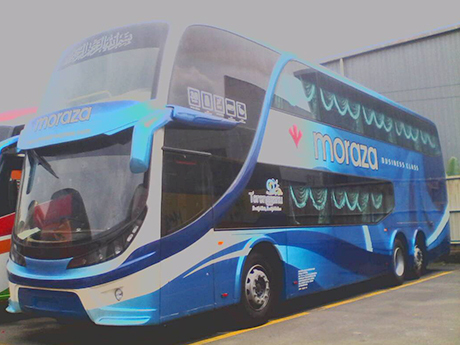 Book Moraza Express bus tickets safely online at the comfort of your own home or office. Tell us when and where you are going, then we will assist in doing the rest for you. Whether heading towards Pulau Perhentian or Pulau Redang, Moraza Express is ready to provide the best for all your travelling needs. Let us help you kick start the journey today and create new memories!